“Greetings to the orienteering community! TickApp is a citizen science project that aims to estimate people’s risk of exposure to ticks in Scotland. As last year, the TickApp Project is collecting data at several orienteering events. 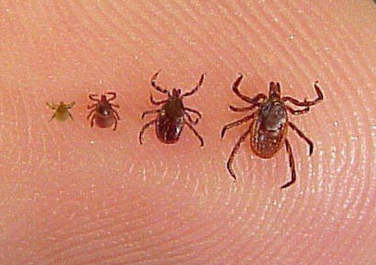 The objective is to compare the number of ticks collected using survey transects (scientific method) with the number of ticks reported by people after orienteering in the same area, and the data will be used to assess whether citizen science can give robust information on the risk of tick bites. The TickProject will be present on the 19th May at Newtonmore. If you are participating in the event and you are aged eighteen years and over, we would be grateful if you would to see us once you finish and tell us whether you found any ticks or not. We are interested in ticks on your body or clothes – and finding no ticks is as useful as finding ticks! You can also report your data via our website (see flyer for details). For more information about the project, please see our website or come to chat with us on 19th May. You can also sign up to be a regular volunteer if you are interested. Your participation is needed! Thank you very much. More information about ticks is available here.